This obviously continues from the previous post. Every country has emigrants, so lets not make a fuss about it. Just wanted to say I think I can hear my Uni-mates making coming home plans over the next couple of years just for that new tax rule *grr!*. 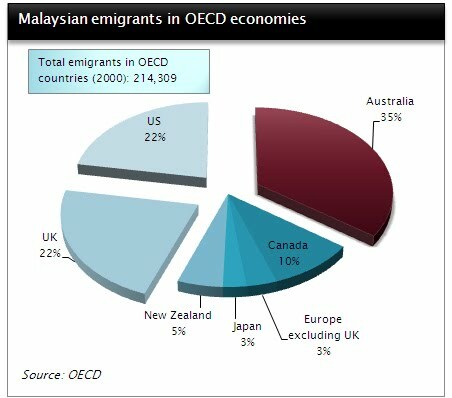 Oh yeah, interestingly, Malaysians do not like to emigrate to Eastern Europe or Scandinavia... go figure.